Eric joined G William Group in 2008 as a Project Manager, quickly earning the title of Vice President by 2012. In 2015, Eric made partner and shortly after took over as Managing Member. Eric is responsible for the day-to-day operations of the company, specifically overseeing all construction projects from scope development, through design development, project delivery, and close-out. Eric has supervised a wide range of projects across many disciplines, some with budgets in excess of $15MM. 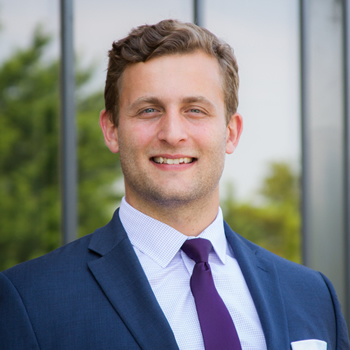 Eric is often identified as having a unique ability to quickly understand a client’s business practices and identify key requirements, as well as opportunities to expand or improve through the scope of his projects. Eric is also a licensed Real Estate Agent in the State of New Jersey, providing insight into the real estate value of client’s properties, primarily with respect to their plans and GWG’s work.